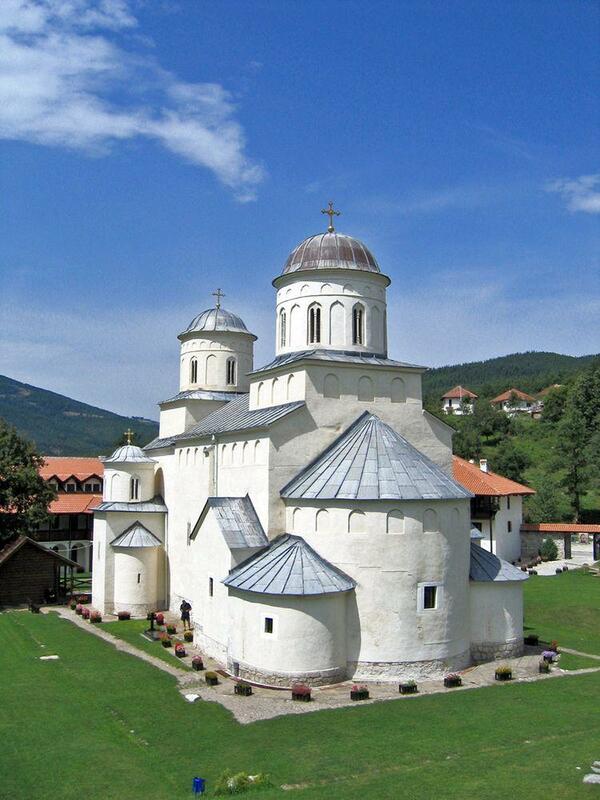 Throughout the long centuries in the picturesque valley has survived Mileševa Monastery. This medieval monastery has been an important center of knowledge and up to this day here have been preserved major values of art including the legendary White Angel. When the first Serbian Archbishop Sava returned from a lengthy travel in eastern lands, a tragedy happened in the area of contemporary Bulgaria – the exhausted and sick piligrim died. His nephew – King of Serbia Stefan Vladislav – ordered to build a monastery in honor of Archbishop and this monastery was built in the valley of Mileševa River in the time period between 1234 and 1236. Remains of Archbishop Sava were buried here and soon after he was canonized. Relics of Saint Sava were removed and publicly burned by Ottoman Turks in 1594. Nevertheless cult of Saint Sava has been an important factor uniting the Serbian nation throughout the Middle Ages and the Ottoman occupation. In spite of the presence of Ottoman Turks the monastery persisted and was an important factor bringing enlightement to Serbian nation. 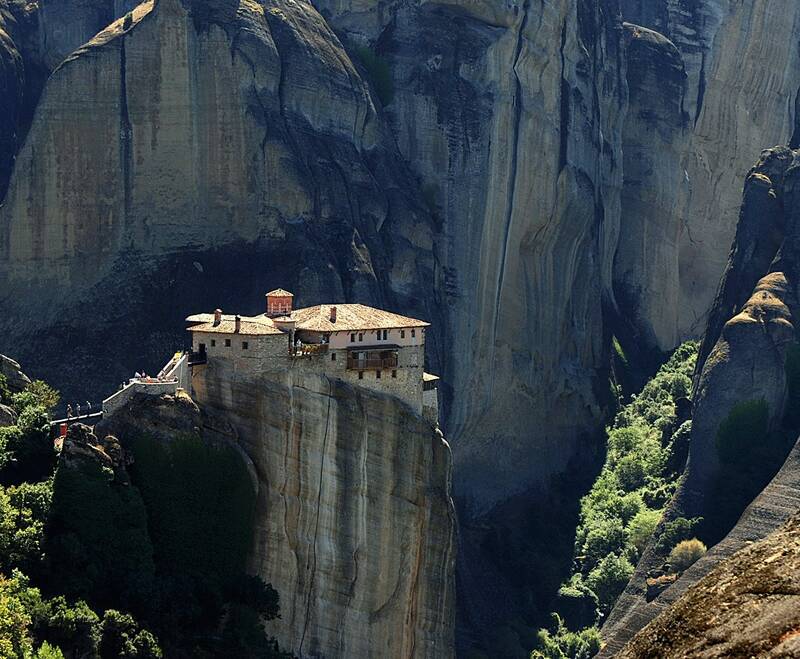 Monastery was first burned down by Ottomans in 1459 and restored soon after. In 1544 here was established Mileševa printing house, although printing started here in 1518 – 1519. By that time Mileševa Monastery was quite rich and influential instituion. Until 1557 here were printed several books of religious content – so called srbulja. These were liturgical books which were written in the Serbo-Slavonic language: written language of Serbs until the early 19th century. These were the first printed Serbian books. Here was located also one of the first schools in Serbia. Monastery was renovated in 1557 and then, after the repeated demolishing by Turks, once more in 1863 when the monastery church was modified. Further damage was done by Italians during the World War II. They turned the monastery into a horse stable and frescoes on the lower parts of walls now have been lost forever since then. The church of this monastery has a peculiar architecture – it is a good example of so called Raška school – localized Late Byzantine style. The church is adorned with some of the best frescoes in the medieval Serbian culture. First set of frescoes was created at the time of the construction, in 1230ies. Later, in the 16th century the interior of the church was repainted with other frescoes. During a fire these frescoes were damaged but helped to preserve the older ones. Frescoes show the saints and martyrs together with real, influential Serbian families of the 13th century. Most famous work of art here is so called "White Angel": one of the greatest paintings in Serbian art. 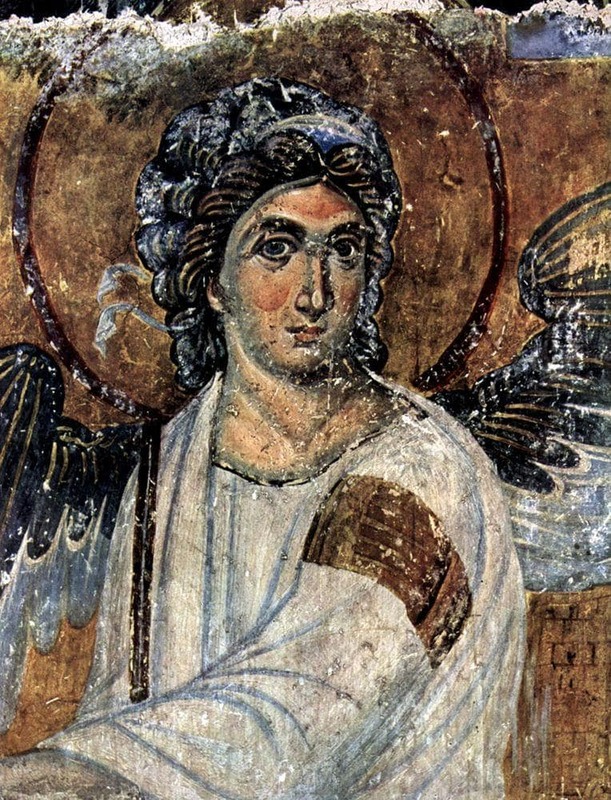 It shows Archangel Gabriel at Christ’s grave – a beautiful, young man with serious and deep stare. According to the fabula of the painting, angel at this moment conveys his message to the grieving women: "…you seek Jesus, who was crucified. He is not here; he has risen, just as he said." (Matt 28: 5-6). It is not known who was the author of this outstanding painting. This image has been used as a sample image in communications – for example it was sent into the space as a signal in 1962 and the first image transmitted via satellite from Europe to America in 1963 bringing a message of faith, hope and love after the Cuban Missile Crisis. Serbia is diverse country – both with undulating hills, river plains and also very impressive mountains. 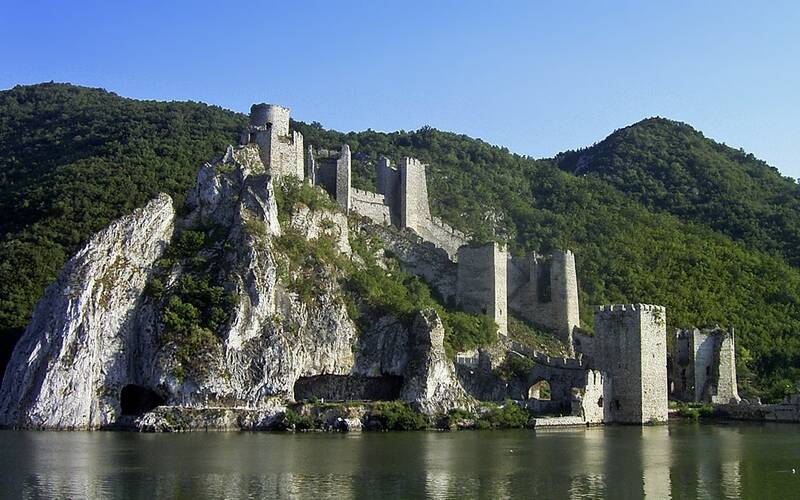 Most beautiful and interesting landmarks in Serbia are the medieval monasteries of Serbian Orthodox Church and impressive fortifications which have helped to divert the attacks of Ottoman Turks on Europe. The author writes about the medieval monasteries in Serbia, the spiritual centers of cultural and national affairs, and presents their tenants, monks and nuns, as “living walking Gospels of Jesus Christ”.